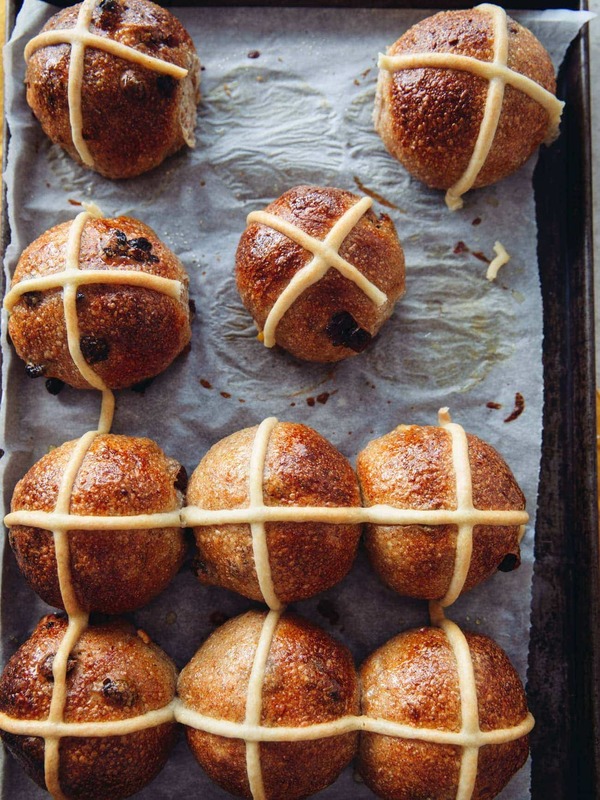 An easy sourdough recipe for making homemade Hot Cross Buns. Perfect for Easter baking! The recipe is suitable for vegans, too.